If you haven't seen a doctor about your arthritis it might be helpful to do this so you know best how to manage your problems. The other reason for learning more about your condition is for you to know more about how your arthritis should be treated and what advice you should or should not listen to. Friends and relatives often form their own ideas and opinions about arthritis. The most unhelpful advice you are likely to hear is that 'there is nothing to be done for arthritis'. There is always something that can be done. It is true that there may be no 'cure' for your type of arthritis but there are many ways that you can learn to manage your arthritis. Another important point is that unless you understand your diagnosis you will always come across well wishers who may provide you with the wrong information or you may just experience a mixture of confusing and contradictory advice. One of the most frustrating aspects of all types of arthritis is that you cannot always predict when you are going to have a problem with your joints, either from the pain or difficulties in movement. If you understand your condition there are sometimes helpful clues that may help you to be more aware and look for ways of helping yourself - for instance adjusting your pain medications, taking more rest or plan your outings more carefully. An increase in symptoms is often called a 'flare'. A 'flare' usually means that the pain in the joints increases (sometimes with swelling of the joint) or that stiffness and sometimes this can be accompanied by a feeling of being 'tired' and 'washed out' (especially with some types of arthritis like: Rheumatoid Arthritis, Psoriatic Arthritis or Ankylosing Spondylitis, Lupus). What is a 'flare' or your arthritis? Joint stiffness may increase. If you see a doctor or nurse it will be helpful if you can give them an idea of how long the stiffness in your joints lasts. For example in Rheumatoid Arthritis joint stiffness is usually worst in the morning and may last only 10 minutes on a good day but last a few hours on a bad one. With Osteoarthritis the stiffness in the joints will tend to be longer at times of inactivity - when you sit down to rest it takes you longer to get moving again because of the stiffness. Pain may increase. This may be in just to one or two joints (especially if you have osteoarthritis) or quite a few joints. 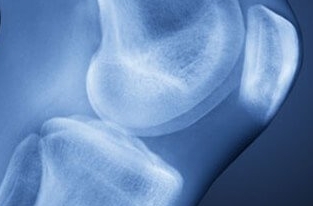 It is often accompanied by tenderness of the joint (or joints) and swelling. If you joint pain is accompanied by heat and redness to the skin, with swelling and pain around the joint area, it is important that you see a doctor promptly. This is to ensure that there is no infection in the joint (this is not common but does need urgent treatment if this happens). Gout can sometimes look like an infected joint. If you have gout and you have a 'flare' it is very common for the joint to become red and extremely painful (even to the touch sometimes) and for those getting used to their gout it can be difficult to know if it is the gout that is causing the problem. Fatigue is a common problem when you have a flare; particularly if you are experiencing pain and difficulties in movement or have a condition that is a systemic disease (some diseases are caused 'systemic diseases' because they can affect other parts of your body, not just your joints). You can also feel tired when you are anaemic (when you don’t have enough iron in your blood) and some people with arthritis can be prone to anaemia. Flares can sometimes be as a result of an infection (for instance if you have a nasty chest infection). It will help if you get the infection treated promptly. However, not all infections can be treated by antibiotics and flu is a virus that may makes you feel ill and may make your joints ache but antibiotics will not help. Seek advice from your doctor or nurse. People who have had an illness or a long term (chronic) conditions for a number of years know that they need to have some practical ways of helping themselves when they are having problems managing their arthritis. However good the care you receive is there will still be times when you will need to find ways of managing your arthritis yourself. In order to help you manage here are a few practical tips that might be of use. Try hard to think positively and work out the best way to manage over the next few days. Usually flares will come and go. It may be difficult to understand why you have a flare - at other times you can see that perhaps you had been gradually less well or you had forgotten your medications for a period of time, or had an infection that perhaps had started the flare up of your arthritis. At other times there will be no reason at all. This can be very frustrating and most of us look for a reason. However learning to positively cope with the flare and deal with practical aspects is often a very good start. If the flare of your condition continues for more than a few days or you have identified a possible infection it might be helpful to contact your doctor for a review of your arthritis. Review your daily activities and plans or workload - try to find ways to manage your time to allow for mental and physical rest – healthcare workers often call this ‘pacing’. If the flare is of only one joint - for example the knee - it may be helpful to find ways of helping or protecting that joint. For instance using a walking stick will help the painful knee reducing the load it has to bear whilst in a flare. Or wearing shoes with good arch support and cushioning (such as trainers) If the joint pain persists over a few days and you try all the practical tips it may be worth going to see your doctor or nurse/physiotherapist who might be able to consider whether a joint injection would help. There are a number of reasons why the mind if so powerful in helping you to cope with your arthritis. We all hear stories of how people manage to survive very difficult situations by determination and focussing on a goal. Your mind is a powerful tool that you should use. 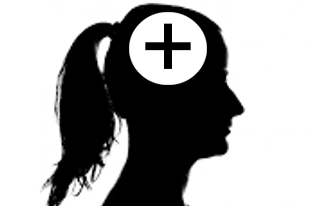 If you can use your mind to focus on positive ways of coping you can block out negative messages. From time to time you may feel low and struggle to cope and that is natural too - but if you can try to focus on positive aspects of managing your arthritis it will help you identify problems and use practical ways of dealing with them. 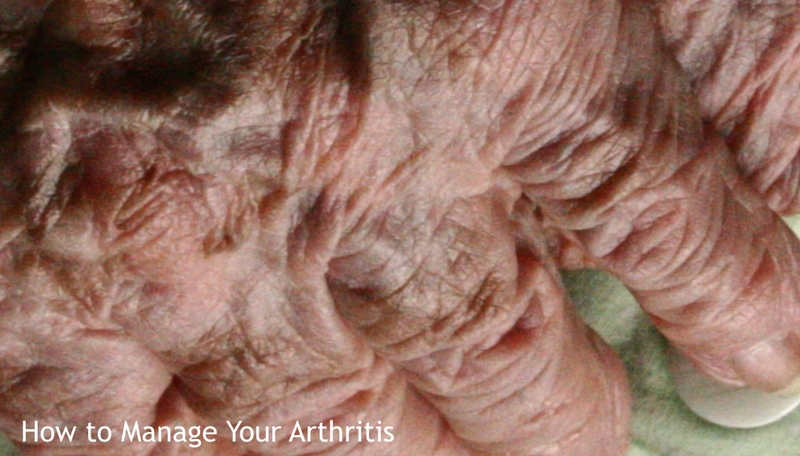 How you feel about the arthritis will affect how you cope. If you feel that the arthritis has 'control' over you and there is nothing you can do, it may make you feel low and out of control. It can make you feel powerless and that you just have to take anything the arthritis 'throws at you'. It will stop you looking for positive ways of dealing with your arthritis. Or that you do not you seek help when you need it. This can create a spiral of problems that can lead to; depression, difficulties with coping with everyday activities and low self esteem. How you feel or see yourself as a result of your arthritis will have an affect on you. When you are given a diagnosis it can be a shock - most people see themselves as 'healthy' and well without illness. So being given a diagnosis that gives you a diagnosis sometimes without a cure can make you see yourself differently. How you adapt to the realisation that you have arthritis is important - remember you can be more 'healthy' than many other members of the public in many ways - you just happen to have a problem with one aspect of your body. Try to find out about your medications and treatments you are having - even if you are worried about them sometimes understanding all the risks and benefits of the treatment can help. The best way to help yourself manage how you think about your conditions will be to take opportunities to learn about your arthritis and how to manage some problems yourself. The support of the healthcare professionals who can teach and guide you is very important but this support isn’t always available to everyone and cannot be there all the time. As so many people say 'there wasn’t anybody around and available to help at 3 o'clock in the morning when I had a problem with my joints and I didn’t know what to do'. There are a number of opportunities to improve your knowledge about your arthritis. There are group activities organised either by your local hospital or by a patient organisation (such as Expert Patient Programmes). One to one sessions with a specialist practitioner who will tailor the information specifically to your individual needs. National Rheumatoid Arthritis Society (www.nras.org.uk) are organisations who provide a range of opportunities for you. If you are unsure what your local hospital provides, phone the rheumatology department to find out or contact your health centre and ask the nurse practitioner if they have any information.